As the 2017 Toyota Prius Prime rolled up, I was skeptical. I had owned a Prius for 6 years, and this was just a newer Prius with fancier screens, cleaner carpets, and no melted crayons in the back seat. Boy, was I wrong. 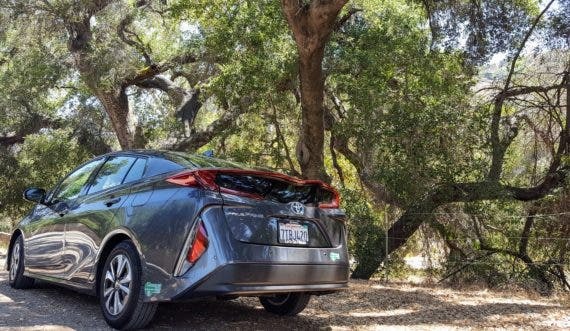 The second version of the plug-in hybrid Toyota Prius, dubbed Prius Prime, is a step change improvement for the leader in hybrid vehicles and makes an impressive statement about where the brand is going. My curiosity was first piqued when I opened the charging port at the rear of the vehicle and noticed that it was built with plenty of room for a DC fast charger. For a vehicle with an 8.8 kWh battery delivering around 25 miles of all-electric range, a DC fast charger would not normally add much value, but its inclusion hints at what I believe is an all-electric future for the Prius. 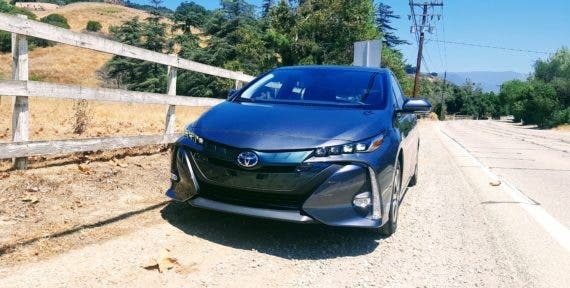 Much like Honda released hybrid and fully electric versions of its Clarity this year, after driving the Prime, I feel like all signs point to Toyota doing the same with its well established Prius brand. Prius Prime takes a completely different approach from the previous plug-in hybrid version, as its default driving mode is fully electric. 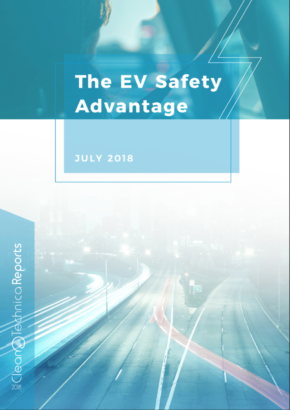 That gives drivers all of the benefits of electric driving right out of the gate — as long as there is any charge left in the battery. Zipping down the hill towards the freeway from my house, the difference was immediately apparent. The engine in the vehicle was completely off and remained off for the 22 mile drive up to Ojai, California. Previous versions of the Prius could not exceed much more than 42 miles per hour in all-electric mode, but the Prime had no such objections, even at freeway speeds. The benefits of plug-in hybrids to drivers vary drastically, and it all boils down to how they were designed and programmed. The Volt is hardwired to be an electric vehicle with what is essentially a well integrated backup generator in the trunk that can kick on if and when the battery crosses a specific threshold. The Audi A3 Sportback e-tron, with its 11 miles of all-electric range in all-electric mode, wakes up the gasoline engine if the throttle is depressed too quickly, as if it never really wanted to be capable of all-electric driving in the first place. From a functional perspective, the 25 miles of all-electric range in the Prime should cover the majority of the average round trip commute, which is around 30 miles. That is a step change improvement that gets at one of my favorite principles — the Pareto Principle — also known as the 80 for 20. 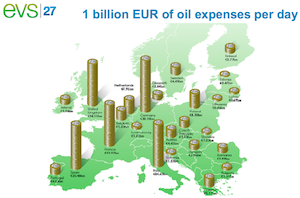 Basically, it means that you can get the majority of the improvements — in this case, the fuel efficiency savings — from the first 20% of the work. 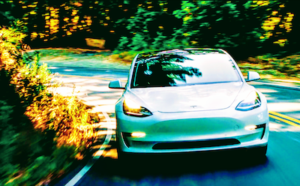 Said another way, adding a larger battery that can supply enough range to cover the majority of daily driving can save just about the same range as a fully electric vehicle … with the gasoline engine on standby in the event that an atypical day enters the mix. Pretty Sweet. Of my 400+ miles of driving in the Prime, the vast majority — easily over 95% — has been electric. That’s impressive for a vehicle that many wrote off as just another fancy hybrid. Toyota took the driving experience to the next level with a subtle gamification of efficiency that rates the drive on a scale of 0 to 100, with higher scores being more efficient. Just adding the metrics with a relative scale provides a very passive incentive to drive more efficiently while the graphics provide relevant information about accelerator position, recommended accelerator position, and the like. It’s a fantastic way of presenting the data in a way that encourages higher MPG driving through fun, data-laced interfaces. Complementing the brilliantly gamified interface is a suite of technological improvements that not only make driving safer, but also improve the driving experience. Namely, this is the Traffic-Aware Cruise Control (TACC) and the Lane Keep Assist (LKA). TACC transforms monotonous stop-and-go driving into a routine experience, taking over the throttle at speeds ranging from 0 to 65+. In addition to making the driving experience easier, it also makes it infinitely safer by using intelligent radar to detect vehicles and other objects, from which it can intelligently adjust acceleration. TACC in the Prime is implemented well with accurate radar that looks for vehicles and other objects and reacts in a timely manner without being overly jerky. It is no Tesla Autopilot, to be sure, but the Prime’s Traffic-Aware Cruise Control represents a paradigm shift compared to traditional cruise control. On the other hand, Lane Keep Assist — or Lane Departure Alert with Steering Assist, as Toyota calls it — had good intentions but failed to deliver anything more than a distraction on the dash in our testing. It beeped when travelling over the lines and occasionally decided to automagically turn the wheel back into the lane but failed to consistently add value. The net results of our testing showed that the feature would more often than not misread or fail to detect a lane departure, and even when it did, would more often than not fail to turn the wheel to guide the vehicle back into the lane. Stepping inside the Prime is akin to entering a low-rider grounded spaceship. Its low floor is inviting without feeling like it needs special care over speed bumps or parking blocks — though, the front nose will reach out and touch poorly designed driveways (like mine) if not handled with care. The seats are very comfortable, with updated headrests that provide more cushion but less headrest adjustment capability than some of its peers. This is a non-issue for me but is of particular interest to my wife. The center console is sparse but functional and leads up to two cupholders and the main controls of the vehicle, which have been programmed into the centerpiece of the interior — the 11.6″ infotainment screen that serves as the primary user interface for the vehicle. 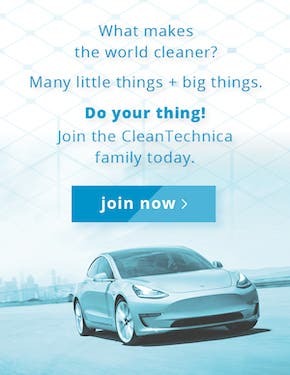 Having spent considerable time in most if not all of the plug-in vehicles available in North America and many, many more internal combustion vehicles, I can say with confidence that the user interface of the Prius Prime infotainment system is only surpassed by the system in Tesla vehicles. The Prime’s JBL-based system is large enough to show off the navigation screens in a functional, utilitarian manner without feeling so vast as to allow features to get lost on the screen. It contains just enough features in the primary driving interface to allow the driver to pull up climate control, radio, or the nav screen (amongst others) without being distracted. It is also customizable and allows the driver to adjust features with ease. Public Service Announcement: Please don’t do this while driving. It may be awesome but it’s not magic. Thanks! In addition to infotainment functions on the primary display, the heads-up display (HUD) content can also be modified from the main screen. That’s right, the Prius Prime also features a heads-up display that by default displays the current speed and the speed limit. The vehicle is intelligent enough to know what the speed limit is in the area and can display said data on the heads-up display. The angle of the display can be adjusted for taller drivers like myself or less vertically stretched drivers. Over the course of several hundred miles of driving, I found the display to be functional, helpful, irritating, and completely invisible at various times. You may love it, you may hate it, but you can always just turn it off. I left it on with the speed on the right and the eco-driving gauge on the left. Toyota has taken all of the information previously contained in the gauge cluster and morphed it into a wide bar spanning the center of the dashboard in a display known as the multi-information display. 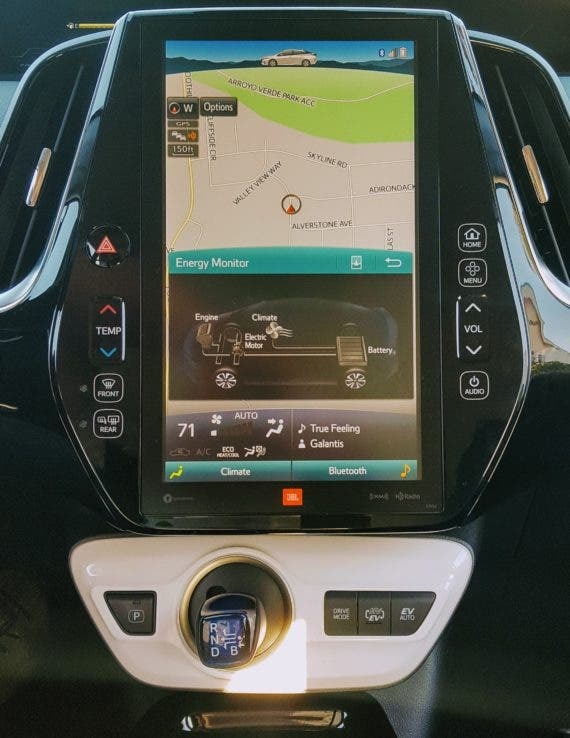 Similar to the HUD and the infotainment system, the information on this display can be customized. I found it extremely helpful and oddly reminiscent of the recently released Tesla Model 3. Reminiscent because I feel like we have been looking at it for more than a year, wondering how the center-mounted screen would “feel” as our new gauge cluster. After several hundred miles in the Prime, I can say with confidence that I like the center-mounted display and don’t miss a behind-the-steering-wheel gauge cluster one single bit. As with all opinions, your mileage may vary. Standard Prius on the left, Prius Prime on the right, charging. At 6’2″, I found legroom and the general feel of the interior to be more than sufficient. I was able to adjust the seats back to a comfortable reclined position while waiting to meet a friend and similarly get plenty close to the steering wheel for comfortable driving. 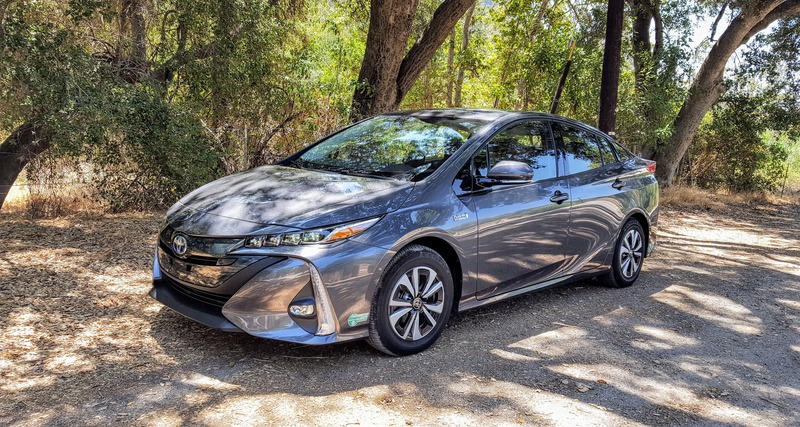 Cargo space is slightly impacted in the Prime vs the standard Prius due to the extra batteries, but its hatchback body is more than capable of hauling around a load of boxes or bags of mulch without batting an eye thanks to the 60/40 folding rear seats. This is an advantage compared to the Model 3, which features a front cabin + trunk design that many are less than enthusiastic about. For a plug-in hybrid, the Prime’s 25 miles of all-electric range is less than half of the category-leading Chevy Volt, but as mentioned above, is more than sufficient to put a huge dent in the average commute. If your average daily commute is fewer than 25 miles round trip, the Prime should definitely be considered at its starting price of $27,100. Compared to the Chevy Volt, this is an absolute steal, as the Volt starts at $33,220. The range is helped considerably by the Prime’s inordinately efficient powertrain, which achieved a best-in-class 133 MPGe in EPA testing. MPGe can be a difficult metric to swallow, as it attempts to balance estimated combined powertrain efficiency, but it is what it is. In terms of all-electric drivetrain efficiency, the Prime achieves 4 miles per kilowatt-hour and 54 MPG in standard hybrid mode. Prius Prime on the left, standard Prius on the right. All-electric range becomes a limiter in direct proportion to charging speed and availability. The Prime in the US is only available with a Level 2 J1772 charging port, which is the US standard. Its charging port, oddly, comes designed with clear accommodations made for a DC fast charging port, but that is absent on both the vehicle itself and the options sheet at present. The Prime is a leader in safety as well, with the 2017 Toyota Prius Prime having been selected as an IIHS Top Pick. That honor reflects its “Good” safety ratings — the top result — in all classes other than headlights, where the Prime’s LED headlights underperformed vs its competition on left-hand curved roads. Headlight performance vs peers is hindered due to the lack of curve-adaptive headlights. As with most traditional automobile manufacturers, the Toyota Prius Prime can only be purchased new from dealerships. For many, this is the only car-buying experience they have ever known. 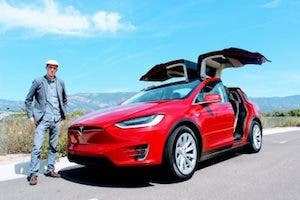 For myself and many others who have had the pleasure of purchasing vehicles from a Tesla dealership, the necessity of entering a legacy automobile dealership is a guarantee of returning to a negative experience. High-pressure sales, commissioned sales people, and burnt coffee raise the blood pressure of many by noticeable percentage points. It is likely not a dealbreaker, but remains an area where traditional automobile manufacturers are feeling pressure and/or losing sales because of the subpar, generally negative experiences. 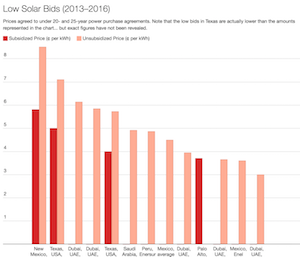 I’ve had a mixed bag at Toyota dealerships in my area, as with just about every other manufacturer (Tesla and Mercedes-Benz have been fantastic). The Prius Prime is a sleeper car that delivers more than its run-of-the-mill exterior suggests. It is not your father’s hybrid vehicle, but rather a plug-in hybrid with some serious range and genuinely special features that make it a contender for many commuters looking to burn less fuel or just less money at the gas pump.